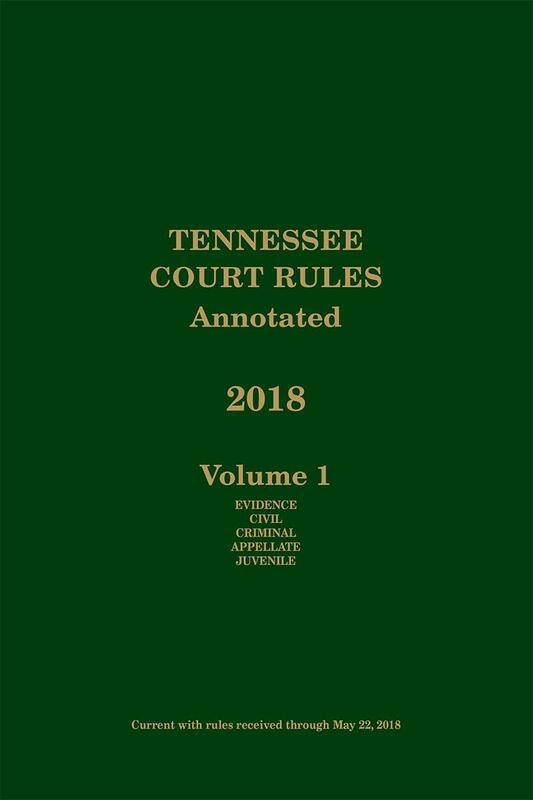 The official Tennessee Court Rules Annotated is a two-volume soft bound set that is replaced annually each spring, and supplemented each fall. 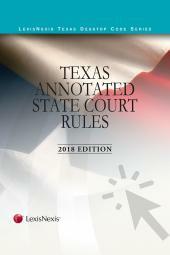 The volumes include the most-used state and local rules and are designed for convenient use. 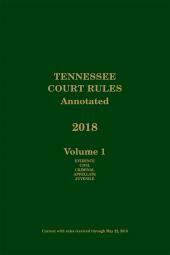 Volume 1 contains the Tennessee Rules of Evidence, the Tennessee Rules of Civil Procedure, the Tennessee Rules of Criminal Procedure, the Tennessee Rules of Appellate Procedure and the Tennessee Rules of Juvenile Procedure. Volume 2 contains the Rules of the Supreme Court of the State of Tennessee, the Rules of Practice and Procedure of the Tennessee Court of the Judiciary, the Rules of the Court of Appeals of Tennessee, the Rules of the Court of Criminal Appeals of Tennessee and local rules from Davidson, Hamilton, Knox and Shelby counties.